Bruce McBarnette won his 12th world title in the high jump. 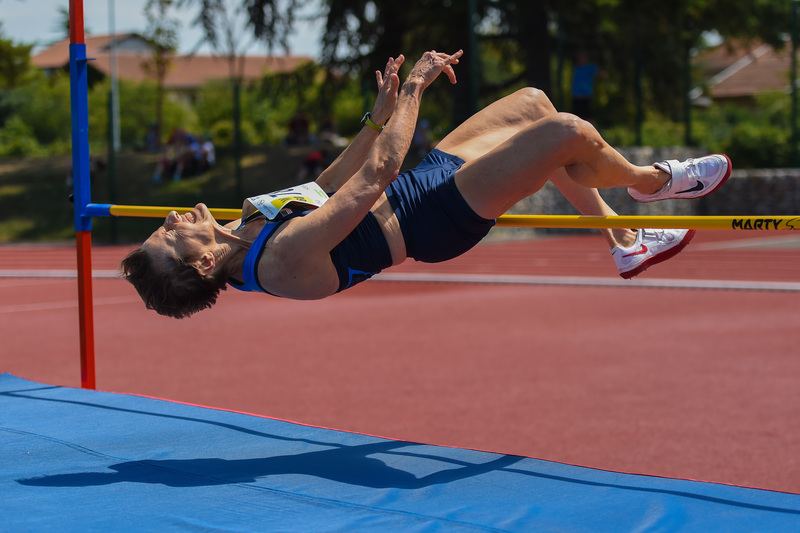 LYON, France, Aug. 11, 2015 /PRNewswire-USNewswire/ -- In the first week of the World Masters Athletics Championships (WMA) ongoing in Lyon, France, the USA team has won won 24 golds to date and broken four world masters records and tied one. The team has amassed 62 medals overall. The meet began August 4 and ends August 16. Over 8,000 track and field athletes are competing, ages 35-99, and the US has 426. In the last two world masters championships, the USA has been first in golds, and first and second in overall medals. Bruce McBarnette, 57 (Sterling VA), won his 12th world title in the high jump, the most of any high jumper in history. 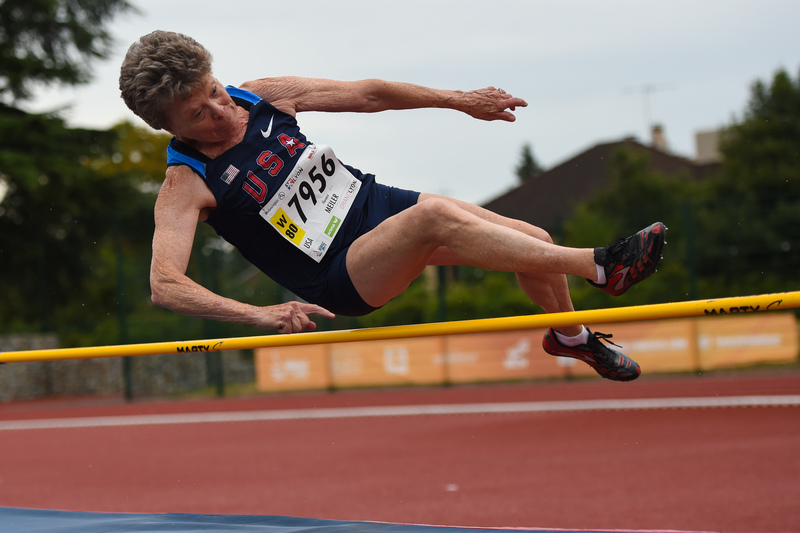 World marks have been broken by Flo Meiler (W81) in the W80 Heptathlon; Christel Donley, also W80 just behind Flo but also breaking the old mark; Rita Hanscom, W60 Heptathlon; and Kathy Bergen, W75 who set a world record in the 200 meters and tied the high jump world mark. Also at the meet, the USA is having a team party arranged by USA Masters Chair Gary Snyder, who heads the delegation, at 6:30 PM French time Friday August 14 at the Mercure Saxe Lafayette Hotel, 29 Rue de Bonnel, Lyon. Media is invited to socialize and interview athletes and organizers. Phil Greenwald, team Manager, holds team meetings at 10:30 each morning at the Balmont Stadium,track on the day's complicated logistics (five venues) and schedule and is now busy arranging relay teams for USA to aim at Gold.